This is the final part of a 6 post series on matcha contributed to World of Tea by Tyas Sōsen. Matcha is a stone-milled powdered tea, made from tencha, produced from the Camellia Sinensis tea bush. Tencha is that leaf which is used for the production of matcha, and is manufactured from leaf obtained during the spring harvest. Prior to harvest, this leaf has been shaded for at least 20 days under a shelf-type covering of reed and straw (honzu). After handpicking, the leaf is steamed, blow-dried, and dried in a brick oven (tencha-ro) without rolling. In the years prior to the 20th Century, matcha in its purest form was customarily consumed as ‘thick tea’ (koicha [濃茶]), a concoction of a high amount of matcha powder, stirred with only just enough hot water to make it fluid. ‘Thin tea’ (usucha [薄茶]) – a less sturdy, frothy bowl of matcha – has been its counterpart, but only after a formal ‘thick tea’ occasion, during a more relaxed final serving of tea. Since the amount of powder used to make a bowl of koicha is astonishingly large, the intensity of the taste of the tea is of vital importance. Therefore only the most tender, sweetest leaves, selected with utmost care, can be employed. And thus, I believe, that it is this tea that should serve as the defining example of what matcha originally is. The above definition is by result a description of what it takes to produce a matcha of the highest quality. But, unfortunately, what we consume today is not at all up to this standard anymore. In 1996 Häagen-Dazs introduced matcha as a new ice cream flavor. 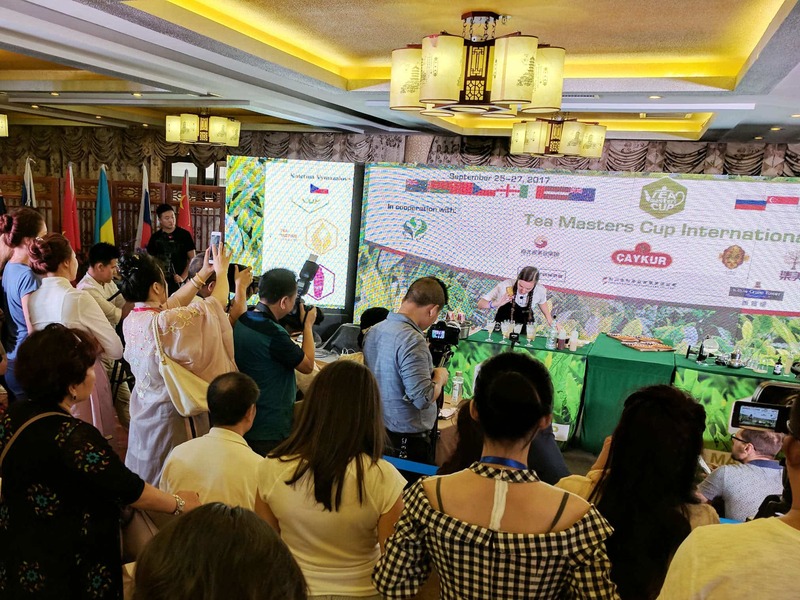 This event impacted the way matcha was perceived and the possibilities this product offered, not only in Japan, but also worldwide. In succession, in 2005 Starbucks followed the same example, and began offering matcha-based beverages, of which the best known type is perhaps matcha latte. Until the late 90’s and early 2000’s, matcha’s relation to the Japanese tea ceremony was impossible to disconnect, but from this point onward, Häagen-Dazs and Starbucks took up a pioneering role in introducing to the world other ways in which matcha could be employed. Quickly this evolved in a first nationwide, and successively worldwide movement, calling matcha on its possible health benefits, while introducing thousands of newly discovered applications, using the tea in smoothies, blending it with salt, sprinkling it on food, mixing it with yogurt, and an infinity of other possibilities. Currently, matcha isn’t just being rediscovered, it has been taken out of the old dusty closet of tradition, and is administered a new role as multifaceted ‘super food’ seasoning. In contradiction to when matcha was primarily consumed in tea ceremony settings only, the demand for the tea rose in exuberant proportions. Simultaneously, this demanded from the producer side a totally different focus on the way matcha was manufactured, and in succession to volume, price also became a major factor. In Kyoto, where the focus had always been on producing a quality matcha for the use in Japan’s most elite tradition – the rite of tea (tea-ceremony) – this renewed demand requests from tea farmers to adopt newer methods, and by doing so, to abandon older ones in favor of productivity, and cost efficiency. Initially, harvest had to be conducted by machine, rather than by hand, as this improved productivity by at least 60 percent. On the other hand, the shift to machinery eliminated the possibility of human precision with which each leaf had been carefully selected and picked, and in effect compelled the obtained leaf to a lower ranked quality category. Consecutively, while mechanized equipment is difficult to operate under a shelf-type structure, the covering shelves quickly made way for rapidly removable sheet covers, applied directly on top of the bushes. In short, the focus of manufacturers changed from a quality-centered perspective to one that is stimulated by mass-production and cost-reduction. This stance has ever since added a new range of lower grade matcha teas to the supply. Traditionally, tea leaf for tencha is only obtained once a year during the spring harvest. Hereafter, the tea bushes are allowed to rest and accumulate strength and resources for another harvest the following year. The shift to productivity made producers discover that leaf could also be obtained in mid-seasons, during the summer harvest in late July, and the autumn harvest in September. It goes without saying that these leaves are of course much more bitter than the ones obtained in Spring, and by harvesting them, the tea bush is placed under additional pressure to regrow, making it more dependent on fertilizer for its health, continuous growth and flavor. Nevertheless, the demand for matcha as a vital ingredient in the now rapidly growing matcha-foods market has replaced the traditional kind, and it is these later harvests (second harvest (summer), or autumn harvest) that are regularly employed as culinary-grade matcha. In general, this tea is too bitter to consume as even a regular frothy bowl of thin-tea, but is sufficiently outspoken to imbue food products with a strong matcha flavor. On the contrary, high-quality traditional matcha with a highly refined taste and aroma will, in fact, loose in flavor when combined with milk or sugar, making it less desirable for use in cooking. Despite the fact that harvests have been mechanized, and tea bushes are now picked more often in a year, it may sound surprising that the demand for matcha can still not be satisfied sufficiently. This is where ‘matcha-like’ products come into the picture. In actuality, these products can hardly be called anything like matcha at all, but in reality, they are indistinguishable from the ‘real thing’ for the untrained eye. And, even for the trained eye, when the original leaf is ground into powder, it is extremely difficult to tell matcha-like products from actual matcha produced from tencha in the lower grade ranks. These products are generally called ‘moga’ [モカ] in Japanese, and while the origin of this rather peculiar word remains a mystery, it generally refers to powdered tea which is ground from leaf other than tencha, using a ball-mill or grinder machine. Moga by definition is manufactured using sencha equipment, drying the leaf in a large heated drum in which the leaf is beaten by rotating spatula. Hereafter, the tea leaf is transferred to drying cabinets. For moga, the large brick tencha-oven isn’t used, since the manufacturers who produce moga are mostly sencha farmers, employing low-grade left overs from the spring harvest, or tea leaf harvested in summer or autumn. It is actually the autumn harvest that is most commonly used for the manufacturing of moga, and during this period the trouble of covering the leaf for an extended period of time is commonly omitted. The moga tea leaf that is obtained as a result of this process is then ground using a grinder to form a green tea powder that is in appearance hardly distinguishable from actual matcha apart from a few differences in color and minuteness of the powder. To conclude, a high-grade matcha – applicable for a bowl of thick- or thin-tea during a traditional service of tea – is labor intensive to obtain. It requires the human eye to select only the freshest buds and leaves to be manufactured in a skillfully blended savory tea. The demand for matcha-products has multiplied the amount of low quality ‘cheap’ matcha teas for use in the kitchen. These teas are manufactured from later harvests, employing simplified procedures, and are in fact much more bitter than teas that are consumed directly. For culinary use, it is this bitterness that imbues the food with a strong matcha aroma, whereas a high-quality type would be too gentle to stand out. Don’t be discouraged when the matcha you have tasted was too bitter or astringent, it was possibly one of the cooking grade types now widely available in the West. What we are doing is, running and checking our matcha tea flavours we have in stock, and see if they are just as half as beautiful as the ones you have described. Well done!